back to "Why Take a Ski Lesson from a Professional Ski Instructor"
What are the objectives and priorities you would have for a lesson? To spend time with family or friends? To meet new people? To save as much cost as possible? To maximize learning? Or, likely some combination of all these goals but each objective having its own weight as to priority? Thus, the more aspects of a lesson that are put together, the least likely all of those aspects will be well accomplished. Skiers at different skill levels will learn best on terrain and with exercises/drills that are most closely pertinent to their own level. Combining green- and blue-terrain skiers will probably not work for the blue-level skiers as the terrain utilized must not be beyond the skill of the green-level skiers; the green-level skiers simply cannot learn on blue terrain and the blue-level skiers may get bored on the green terrain. Further, kids and adults learn skiing different ways. And snowboarders and skiers learn different ways on different terrain, even if of comparable skill levels in their respective discipline. Experienced skiers could tag along with learners, but that is what they would be doing and so their skiing and any lift rides would necessarily be dictated by those of the learners. The advantage of the family private lesson is mainly for the members to spend time together. The disadvantage is that skill learning will likely be more effective for the lower-skilled members. An option is for lower-skilled members to spend part of the lesson time with the instructor while higher-skilled members ski on their own and then vice versa (there may be youths, however, who would have to be tended to while the higher-skilled members are with the instructor). Another option some choose is to reserve more than one private instructor so group members could be arranged in ways closer to their needs and wishes. The advantage of the group lesson is that individuals will be placed with others of like ability and learning styles (adults separate from kids; younger kids separate from older; skiers separate from boarders). Some also enjoy meeting others. The disadvantage is family members are not likely to be together and there is some uncertainty all members of the group will be compatible, for even though care at the outset is taken to group comparable persons together, that process is not exact and even if done well the progress of individuals in the group may vary and some will be delayed while others will be pushed too hard. 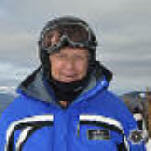 I’m hoping this little discussion is helpful in deciding how to arrange your learning time, and I am very pleased to note your care in doing so, for I am much in favor of folks taking lessons to enhance their skiing skills and thus enjoy more their skiing time. This "Letter to person pondering group vs. private lessons" page last modified 05/14/2018. Did you come here from a link on another website? For latest version of this page, copy to your browser: http://www.SkiMyBest.com/skiprigp.htm. Copyright © 2013, 2014, 2015, 2016, 2017, 2018, 2019. William R Jones.